Hi Folks. National Take a Hike Day is Saturday, November 17, 2018. 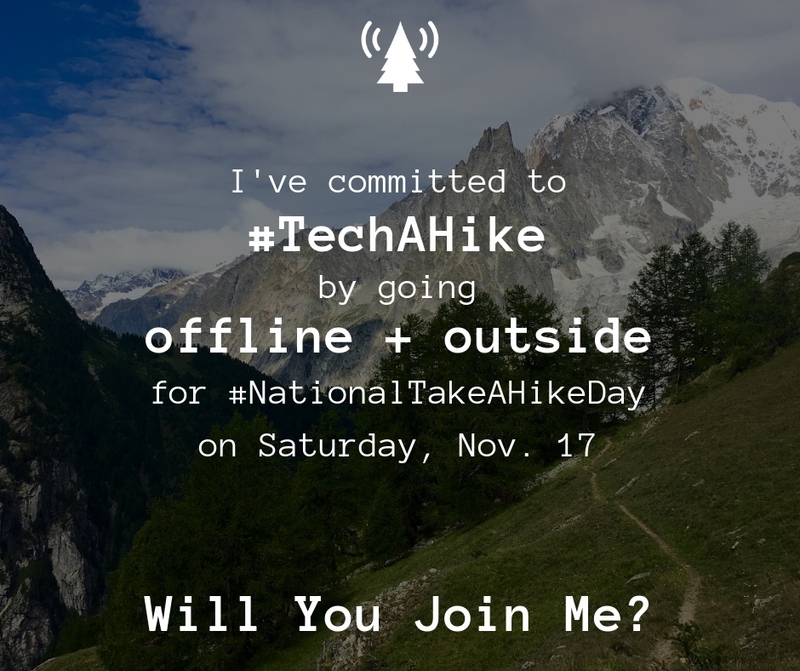 I invite you to join me in taking this challenge farther than asked by my friends at the American Hiking Society in their article Why Technology Should Take A Hike, beginning with posting this picture on your [whatever kind of] website. Amount of time Americans spend on average looking at a screen (phone, tablet, laptop, PC, TV) every day — ELEVEN HOURS — and its effects on bio-psycho-social health. 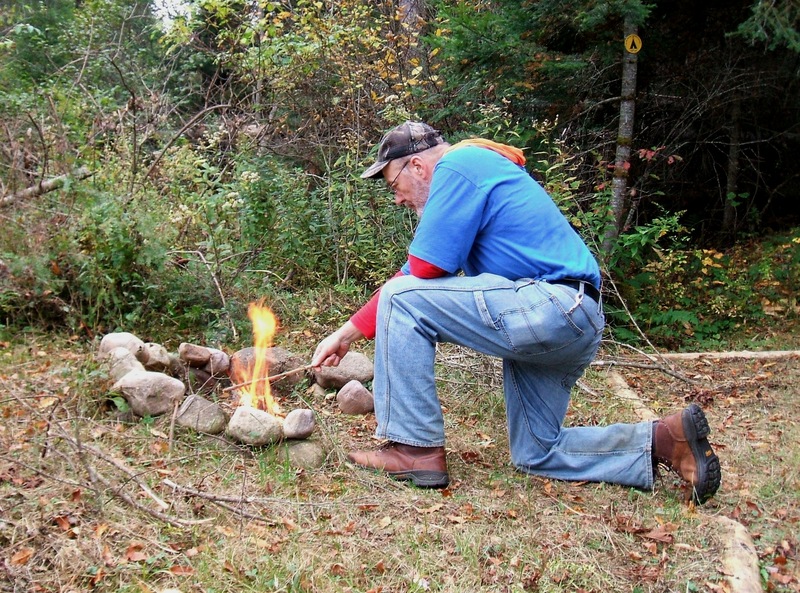 How little time we spend outside — LESS THAN 5% — and its effects. Technology addiction and impacts on mental health crises in this country, including extreme fatigue, stress and depression. How brain scans of tech addicts compare with alcohol and drug addicts. The BIG POSITIVE effects of time outdoors on bio-psycho-social health (in my view, it’s all one thing, not three). I hope that most of you reading this are the choir members hearing this preachment. But this thing is not about just you. It’s a challenge to get the message out to others, and, more importantly, get some people outside. Get out! Their challenge asks you to pledge getting out for at least an hour on Saturday. Enjoy at least 60 unplugged minutes to explore the Great Outdoors and celebrate the natural beauty of our world. MY challenge says flip the thing on its head. Instead of spending one hour outside — preferably away from the house, ideally on a hike — look at that ELEVEN hour statistic and bash it. Commit to no more than one hour using any kind of technology screen. Unless it is truly unavoidable, would it really matter if you actually just did not use that phone at all for a day? Isn’t that what voice-mail is for? You will not die if you turn off your phone and you may really like its not killing you slowly for a day! 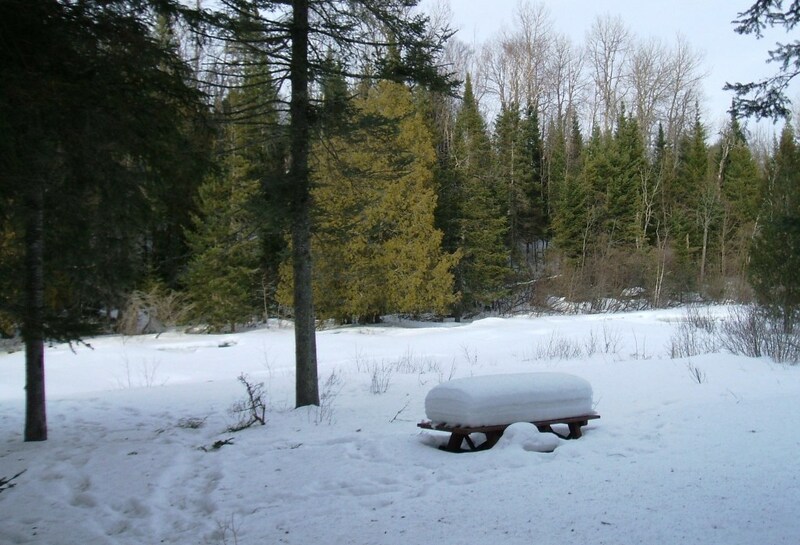 I’m going for a snowshoe hike on trails in the Saranac River Public Use Area (map) of the Sable Highlands Conservation Easement, on Goldsmith Rd. in Franklin County, NY, eleven miles from Balsamea. It’s one of my favorite nearby haunts. You can come, too. 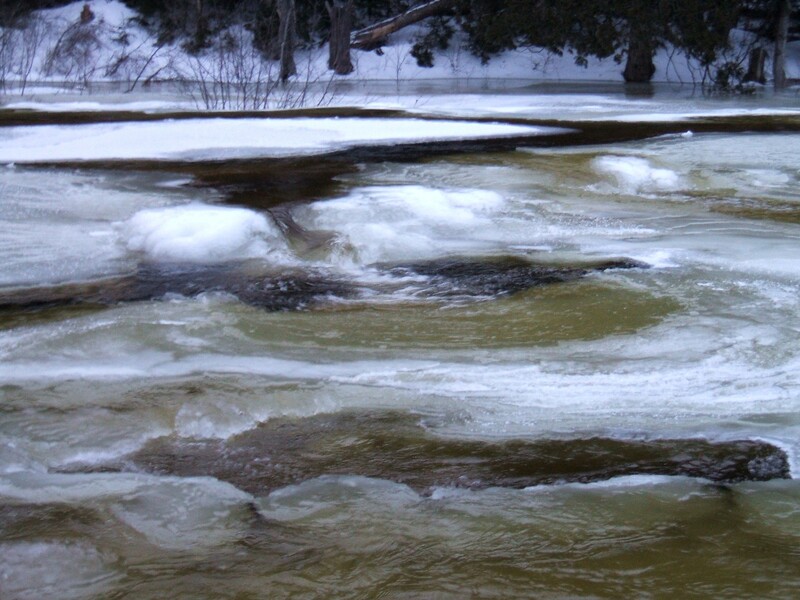 Campsite on the North Branch Saranac River, Sable Highlands Easement, Feb. 24, 2014. 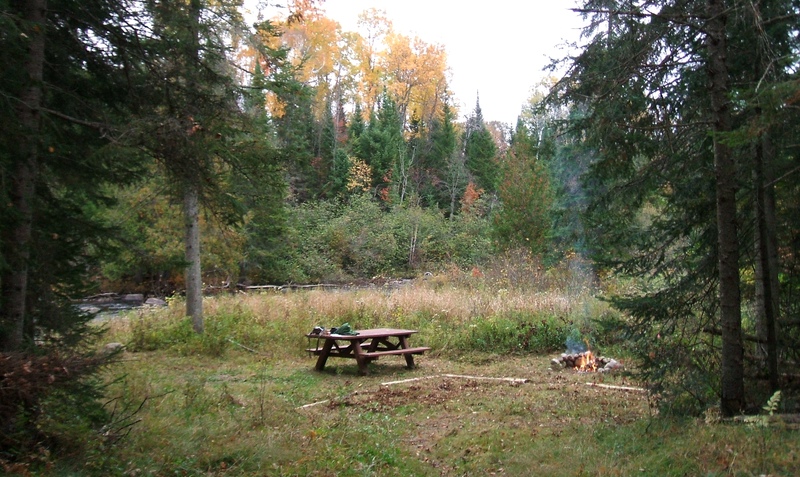 The river is in the space between the two foreground trees and the evergreens. There’s likely a few inches of snow on the ground there now. Tonight and tomorrow we’ll get another 5 to 9 inches. So it may be snowshoey enough. Otherwise, I’ve got boots made for walking in anything. Now and then I come up with a use for one of these selfies. This one? It throws some nice color into the place. Please read the AHS article and take a look at the Tech-a-Hike challenge, and share it. Are you going to share it and do the minimum one hour outside? no-screen-time day and four hours outside? 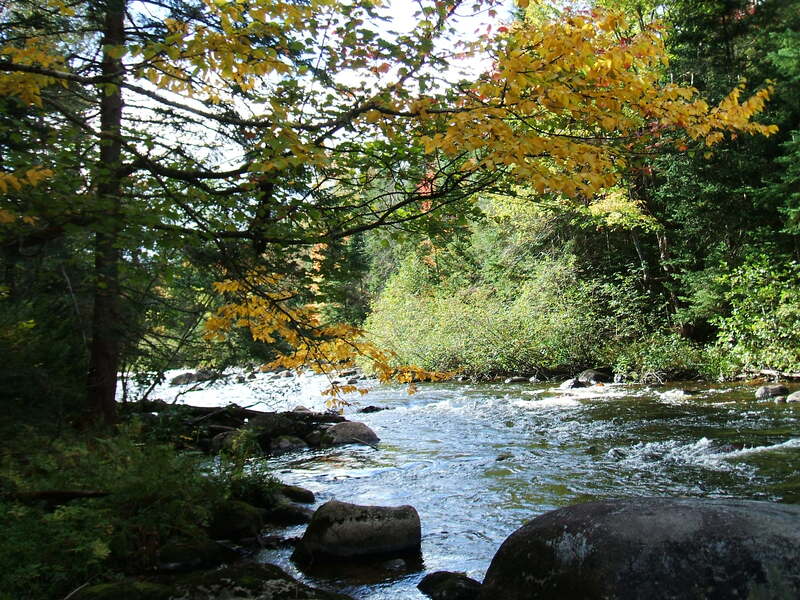 This entry was posted in Health, Hiking, Mental Health, River, Saranac River, Snow, Snowshoeing, Winter and tagged #TECHAHIKE, American Hiking Society, National Take a Hike Day, Sable Highlands Conservation Easement, Take a Hike by The Balsamean. Bookmark the permalink. I love how you turned that on its head. Our culture has actually NOT SURVIVED the tech onslaught. It’s a whole new ball game. And I gladly and gleefully pledge to keep my screens off and spend at least four hours outside on Saturday. Most of it on a long walk or if I’m lucky a ski? Could that be in the stars this early in the year? Either way, I’m out there. And your Goldsmith spot will suit the project splendidly. Thanks, B. The culture really, truly is diseased. Tonight’s snow should be enough for a ski, esp. at the higher alt’s. Hey, maybe you could go to Goldsmith (1600 ft. … often more snow than Balsamea at 1200)! If so, park in the big snowmobile lot past the intersection. 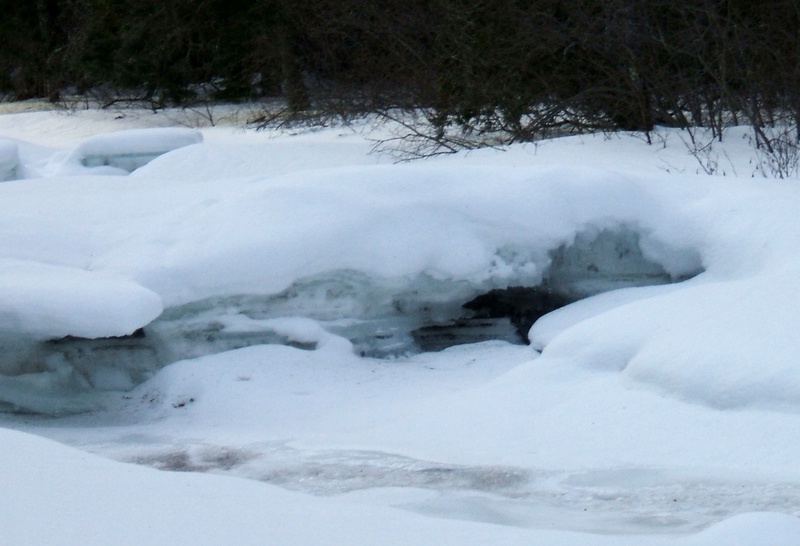 The little lot at the trailhead probably won’t be plowed. Or do New Land Trust!